Building hybrid apps using a framework that integrates well with AngularJS has now become possible and utmost feasible. As a serious Android app developer myself, during my hunt for such stunning UI frameworks, I came across four of the most simple ones including Ionic, F7, Famo.us and Onsen UI. In today's post, I'll be taking up each of these frameworks individually, thereby helping you choose the one that will fit your hybrid app development needs effectively. As an open source Hybrid UI framework, Ionic comes loaded with a wide library of mobile-optimized HTML, CSS and JS components along with unique gestures and fantastic tools that allow you to build interactive mobile apps. Built using Sass and AngularJS, Ionic framework is an easy option for building a great looking hybrid app quickly. Packaged with tabs, lists, header bars and cards. 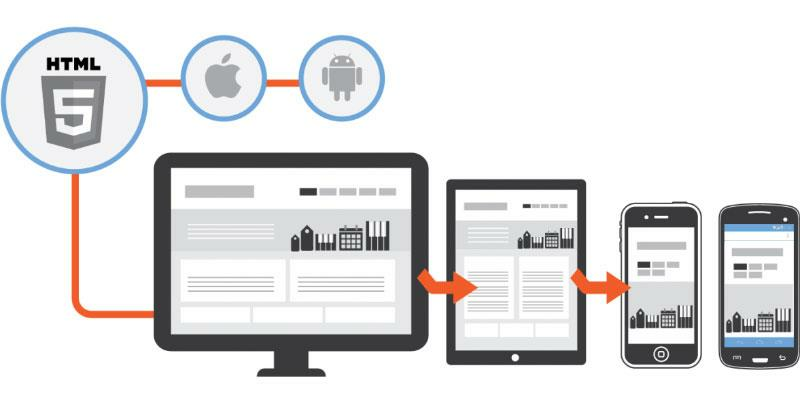 As a yet another HTML mobile framework, F7 allows you to develop web apps or hybrid mobile apps which have the same look and feel of native iOS and Android apps. With the Framework7, you can create app prototypes that can be shown to the client as and when desired. 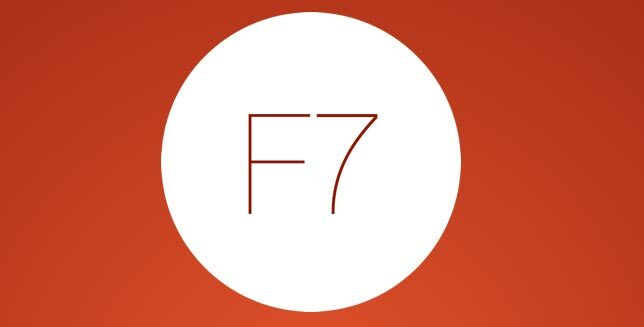 Focused on Google's Material Design and iOS, F7 enables you to build simple and user-friendly mobile apps. Some browser specific issues like a combination of overflow: hidden and CSS will transform into z-spaces that may cause unexpected performance issues for the app. Also, the intersecting surfaces within Google Chrome and Firefox don't render appropriately. 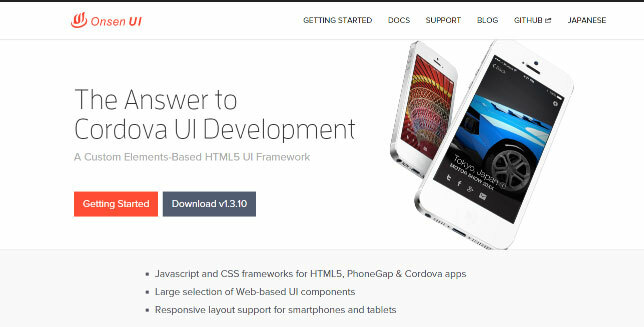 As a custom elements based HTML5 UI framework, Onsen UI serves as a handy option for PhoneGap and Cordova developers. 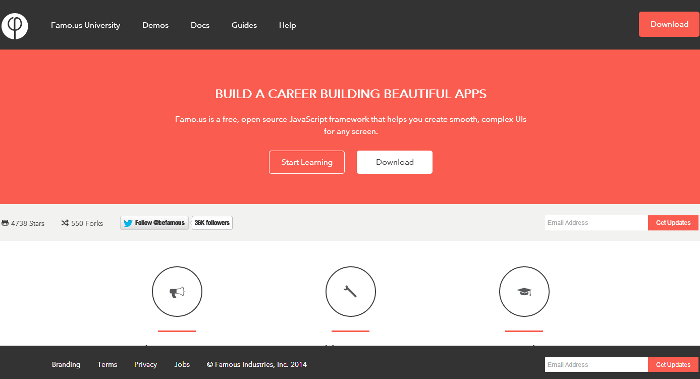 This is a fully responsive framework which comes with multi-screen support. It's view adjusts on the basis of screen size and can be used conveniently as the use of <ons-split-view> tag. Serving as an open source framework, Onsen UI also offers you an excellent alternative for deploying the apps to the server. Doing this would allow you to use the app as a tool for building a top-performing website. While all the above mentioned frameworks aim to achieve the target of providing a native-like UI framework for creation of hybrid mobile apps; settling down for the best one can turn to be difficult decision. Hope the set of details covered here would aid you in choosing a framework that caters to your hybrid app development needs in the most appropriate way. Amanda Cline works with Xicom Technologies Ltd.- A reputed IOS/Android Application Development Company with an excellent track record. When not busy developing great iOS apps, she feel proud in blogging and rendering IT support to individuals and enterprises.